Bushy’s are delighted to announce that leading bike (and other items) insurers CAROLE NASH are to sponsor our 2015 Music Stage. This deal enables Bushy’s to “up the ante” and significantly move up a gear with the introduction of a new superb stage, supplied by ELS, the IOM’s specialist staging, PA and lighting experts. 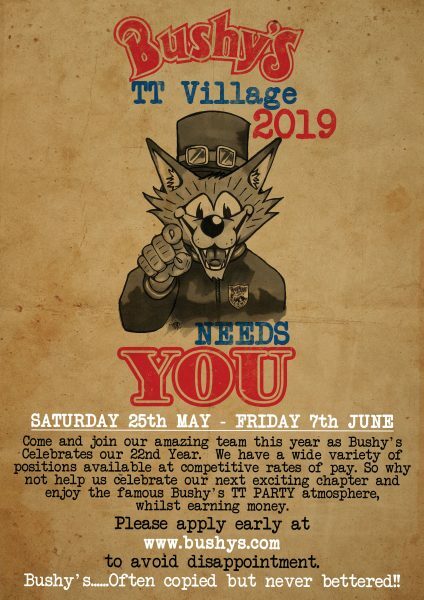 The bands booked by Lenny Conroy of Triskel Promotions are (we’re told) buzzing on hearing this news, which combined with the deals that CAROLE NASH are proposing to offer during the TT, all point to an extremely exciting offering down at Bushy’s this year! Don’t forget, this entertainment is all put on free of charge (courtesy of Carole Nash obviously) so when you’re down at Bushy’s tapping your feet to a brilliant band, keep CAROLE NASH in mind next time your insurance is up for renewal- that’s how sponsorship works folks – you can say thank you and get a great deal at the same time!! The stage kicks off this year with the Manx Charity Aid 12 hour extravaganza on Sunday 31st May and then continues with 2 bands per night (7pm – 12 midnight) for 2 weeks until Saturday 13th June- phew, what a wonderful fortnight!! Copyright Bushy's. All Rights Reserved.